Jagmohan possess over 12 years of comprehensive Information Technology experience in the Web-based application using Microsoft technologies. He is founder Director of UniColumn. 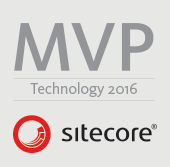 He worked on a range of Sitecore projects since 2008. He leads a team of developers as a mentor and also contributes to the development team as a whole as a strong advocate of development principles and best practices. He also developed various coding practices and standards for efficient, defensive, and re-usable development.